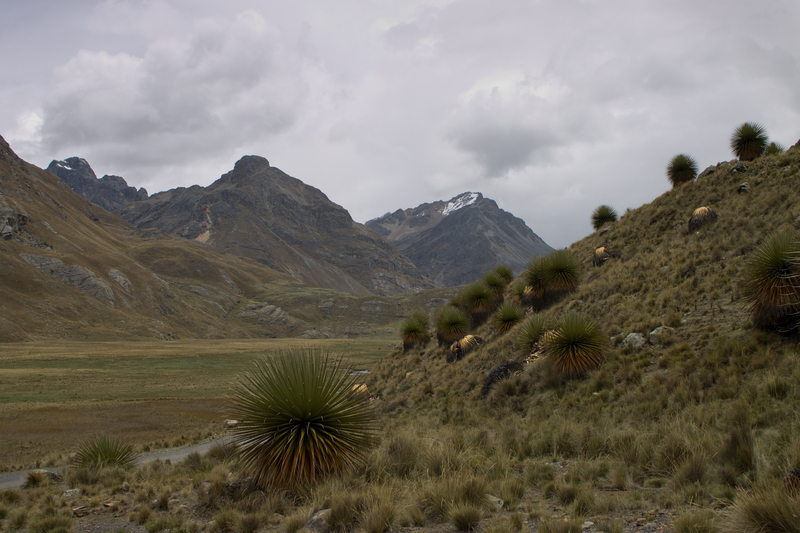 Peru contains 28 of the world’s 32 climate types and is home to around 90, maybe more, microclimates. Our guide spouted this fact, along with many others, as our van whipped along the mountain roads from Huaraz to Pastoruri Glacier in Huascarán National Park. This number was completely believable, having two days before taken a bus from the world’s second largest desert city, Lima, to the second highest mountain range, the Cordillera Blanca. Maybe it was the altitude making me light-headed, but after having lived in Cusco for a few months I doubt it. When we stopped at a small hot spring to contemplate the scenery of the park, my head spun with the elation that is unique to witnessing an unfamiliar, beautiful place for the first time. To me, this scenery was otherworldly. It says much for the diverse wonders of this earth that so much of it can be described as not of it. A bit further down the road, our group paused again to witness the towering puya raimondii. 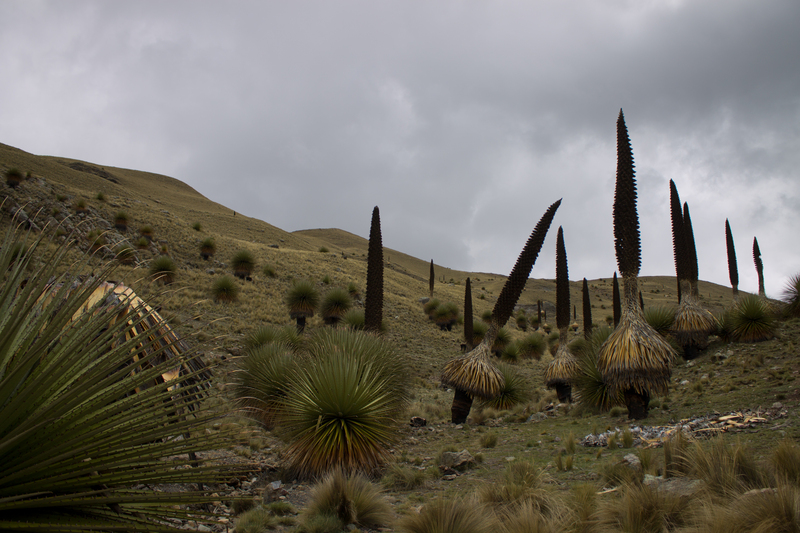 These endangered plants, endemic to certain high altitude microclimates in Peru and Bolivia, take forty years to flower, after which they die. Scattered around were hopeful baby plants, prickly little puffs. There was only one flowering plant. The dead 30 foot tall sentinels guarded the road to the glacier. Breathing heavily in the thin air, we hiked thirty minutes from the trailhead to the ice. Pastoruri glacier spread out before us, water spread out before it. Pastoruri is dying. In less than 20 years, it has lost half of itself. It has split in two. In a decade, it will be gone. Morbid thoughts weren’t in my head that moment, though. The glacier was still remarkable. I ran around, taking photos, posing for photos, excited to see my first glacier, elated to be traveling with my boyfriend. It began to thunder and then snow. The atmosphere was at once foreboding and thrilling. My body was uncomfortable, but I was happy. It is hard to fathom how this hunk of ice could wither away. But it is. This lovely sight’s days are numbered, so you better go look. 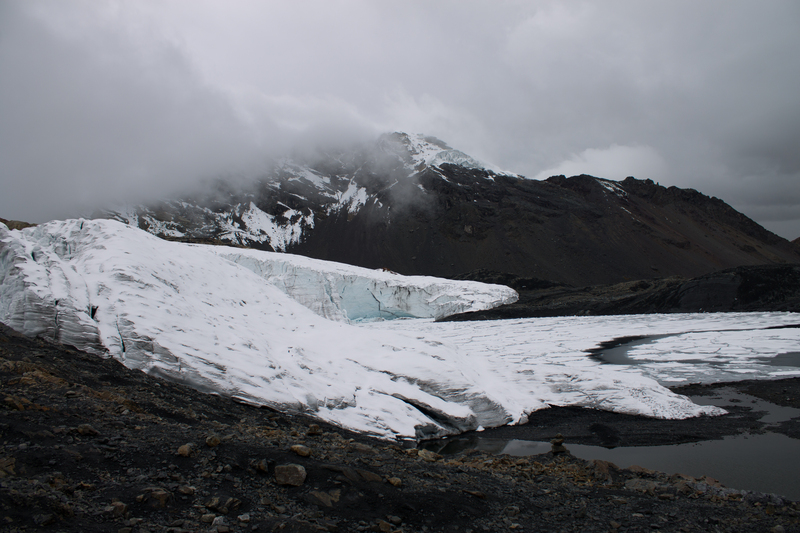 Beyond that though—Pastoruri, and glaciers like it, are more than spectacles. They are livelihoods. As the tourists become disinterested, the locals lose their customers, and entire economies begin to collapse as regions depopulate. And the loss may spread from livelihoods to lives. These glaciers are water sources. The water supply becomes altered, mineral-laden, undrinkable. The topography becomes unpredictable. 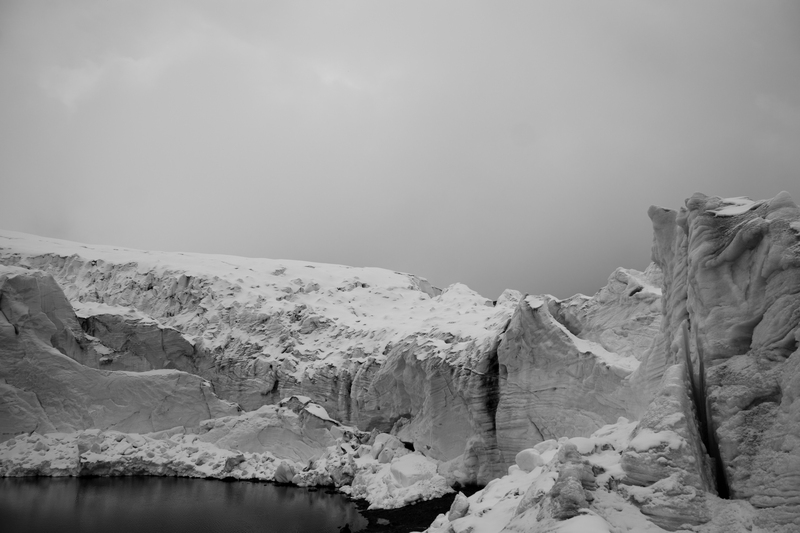 Precarious reservoir dams have burst before when earthquakes caused avalanches of glacier ice. In 1970, the city of Huaraz was destroyed and half of its people died when an earthquake hit and a muddy, icy avalanche obliterated the city. The nearby town of Yungay was smothered. Only 350 out of 25,000 survived. And now, glacier lakes are expanding with melt. We know what can happen if these lakes burst. We know what will happen as the glaciers melt. Puffing slightly less but shivering more, we ambled back to the van. We swayed somewhat violently as the van sped down the windy roads, descending from 17,000 back to 10,000 feet in Huaraz. Still buzzing with wonder, I tried hard to stay seated and still, my arm tight around my altitude-affected boyfriend. You protect the important ones. Now: Pastoruri was a glacier. The future: There were around 90 microclimates in Peru. I could not be any more in love with your blog. The whole paragraph from ‘Maybe it was the altitude’ and the first glacier photo blew me away.